Easy access on a private road, just off paved County road. 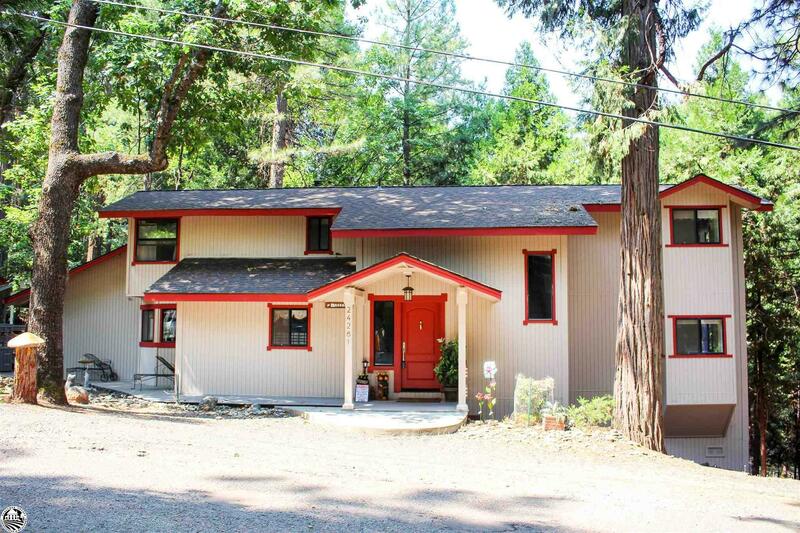 This gently sloping property is all usable, backing to the historic Central Sierra water delivery system known as the "ditch". This natural section of water way is regularly stocked with Rainbow Trout and is bordered by an amazing walking trail. Formal living space, separate family room, two dining areas with a large chef&apos;s kitchen. Master on entry level. Don&apos;t miss the man cave addition behind the garage. Owners have access to private membership to a nearby pond with beach and snack bar. Close to Yosemite, Dodge Ridge, Pinecrest and the magnificent Sonora Pass gateway to the Eastern Sierra.